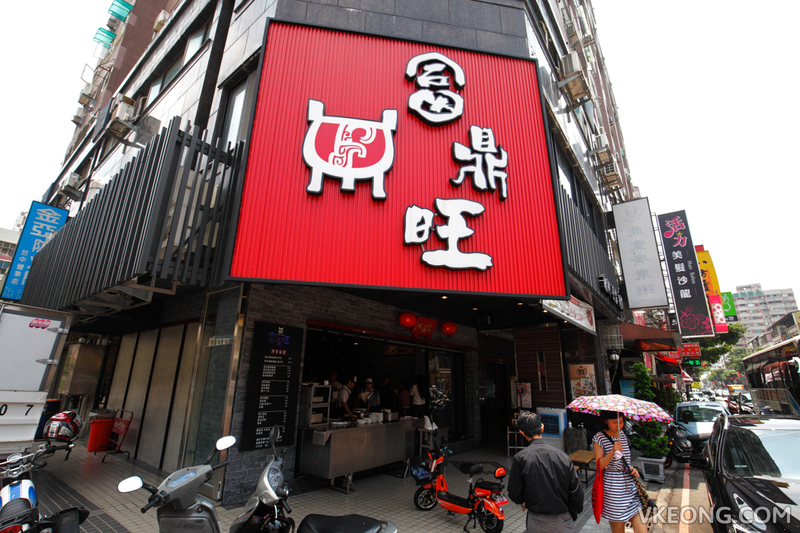 When it comes to pork knuckle in Taichung, Fu Ding Wang (富鼎旺) is without a doubt the restaurant to look out for. 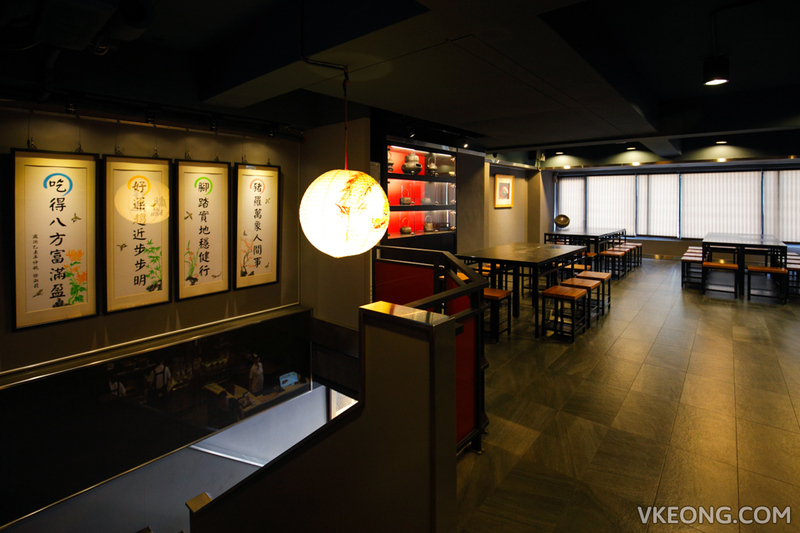 They have 2 branches currently, the first can be found next to Zhonghua Night Market, while the second one is at Dongxing Road. 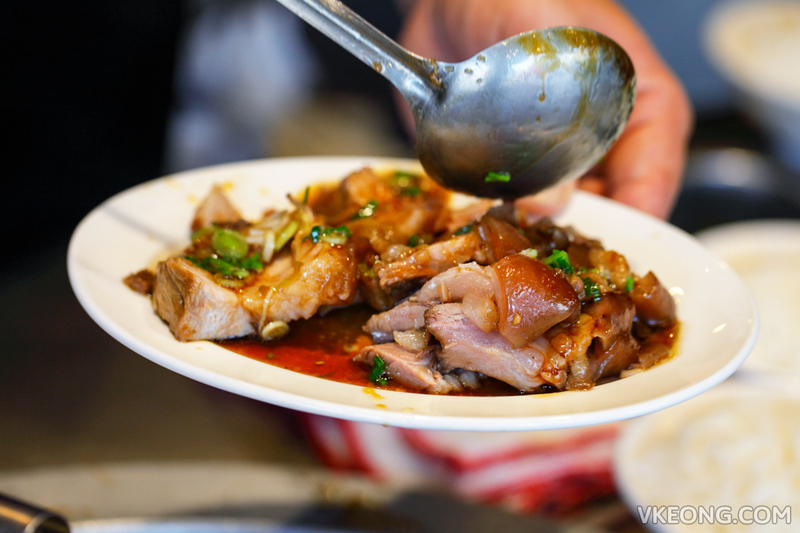 Besides being a local’s favorite, many people from outstation would come to Fu Ding Wang to buy their pork knuckles as tasty souvenirs to bring home. We dropped by the second branch because it was closer to our hotel. Fu Ding Wang’s boss, Mr.Yang happened to be around and we had a chat with him to know more about his restaurant. From what we were told, he entered the food business at the young age of 18 without any knowledge of the trade. He apprenticed with a few masters to learn everything from scratch like how to pick the ingredients and making the methods of braising. Based on the many good reviews we saw online, and the fact that even the locals recommended us to try the pork knuckle here, it’s obvious that he has made it. This is their signature Braised Pork Knuckle (鼎旺猪脚) @ TWD80. The pork knuckle had been cut into easy to eat portions, perfect for sharing as well. If you convert it into Ringgit it’s a little over RM11 which I think is very reasonable considering the above-average environment. What makes Fu Ding Wang’s pork knuckle stand out from the rest, and different from those we get in Malaysia is that they kept the seasoning as minimal as possible. So you are able to taste the natural sweetness of the pork, which you can also tell is of better quality as soon as you taste it. And of course people don’t just come here for the pork knuckle. 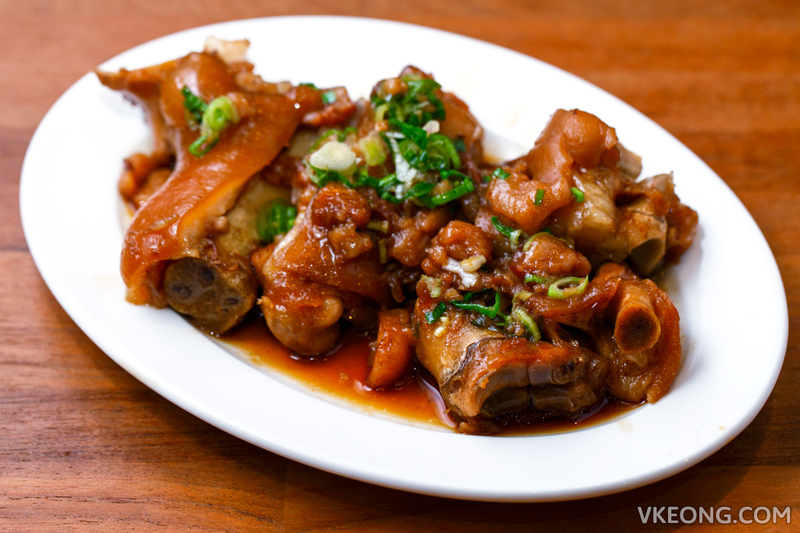 For a complete meal, they will also have a serving of Lu Rou Fan (鲁肉饭) @ TWD25. 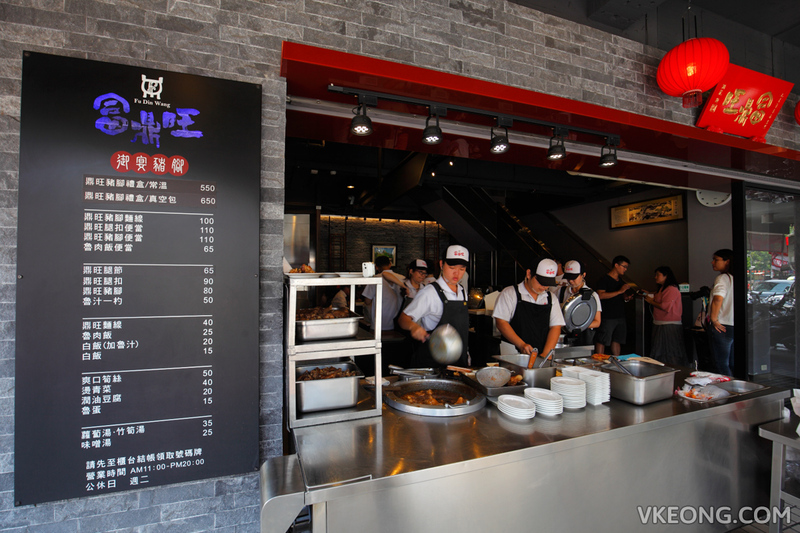 Most of the toppings are made of pork fat with pieces of meat. For some, it might feel unhealthy if you ask me, those flavorful melt-in-your-mouth pork fat is what really makes the rice so darn delicious. 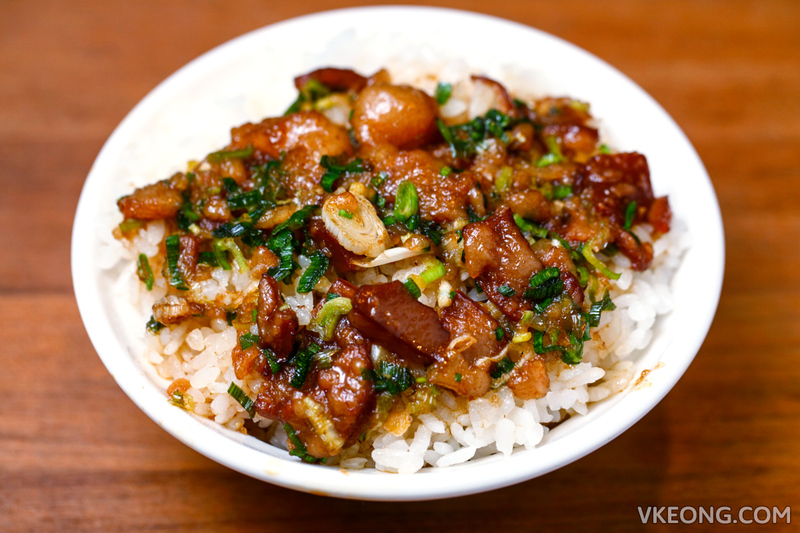 You can opt for white rice topped with braised sauce only if you are concerned with the fat. Fu Ding Wang’s upper cut of pork knuckle (鼎旺腿扣) @ TWD90 is also a must try. After hours of braising, the fat has completely dissolved into the broth rendering it rich with collagen. As sinful as it looks, the texture of the fat was actually firm with a bite instead of being soft and oily. It’s not something I would eat regularly, but a treat for sure. 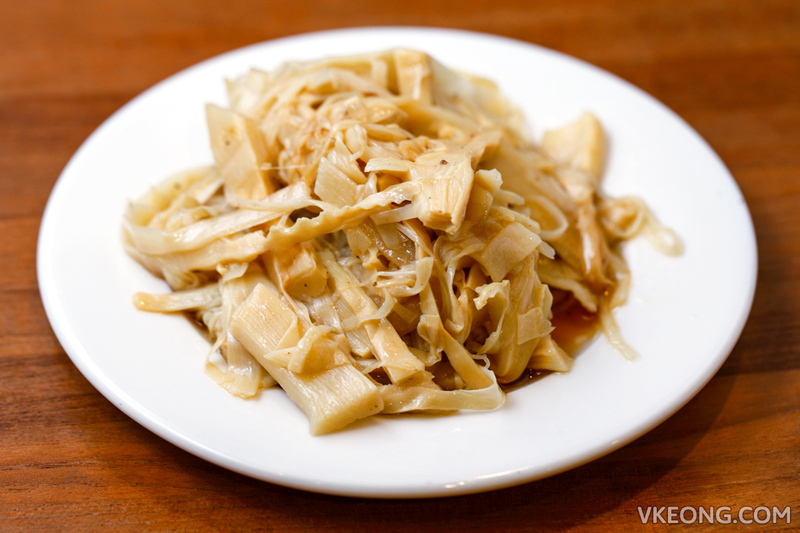 Crunchy bamboo shoot (爽口笋丝) @ TWD50 is one of the few vegetable options in the menu. Many Taiwanese seem to love it but we think it’s just alright, maybe because we are not used to the taste. It’s somewhat similar with what you get in Japanese ramen, but a lot more pungent. Anyway, most customers who eat here usually get the set meals instead of ordering from the a la carte menu. 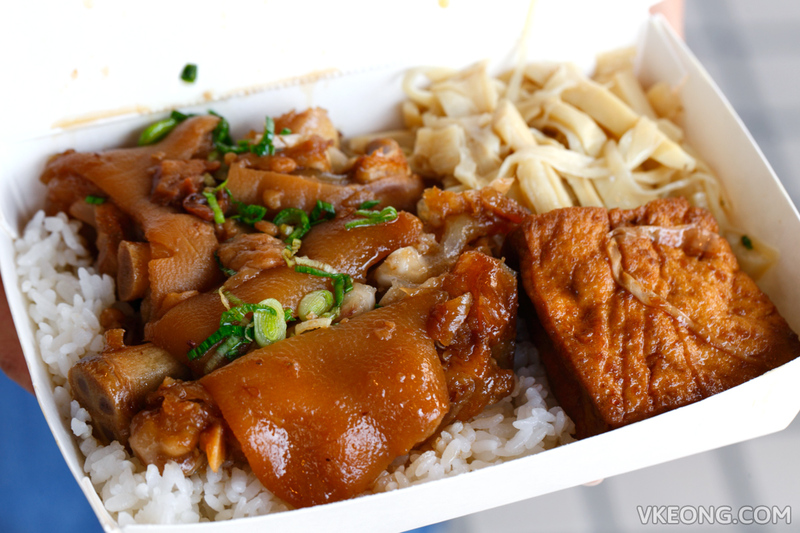 A typical set comes with a portion of meat, vegetable, rice, braised egg and soup. Lunch boxes (TWD110) are also available, popular with the office crowd nearby. 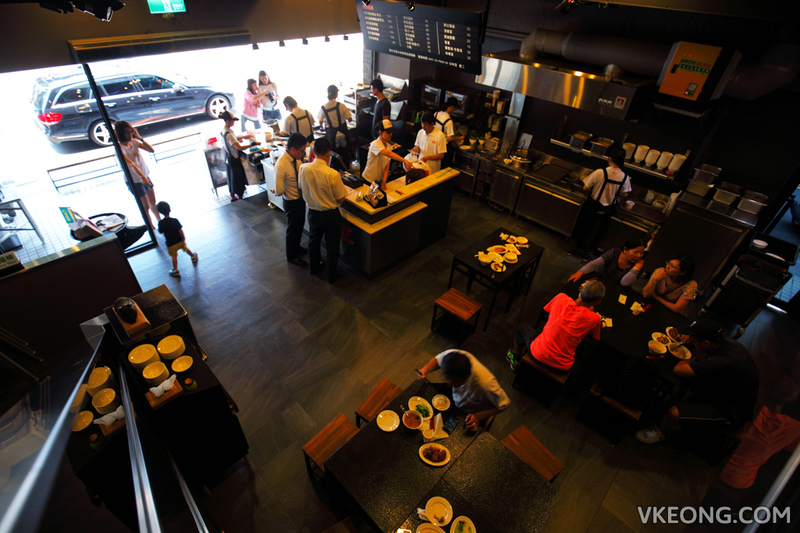 A more spacious and air conditioned dining space is located at the first floor, great if you want to escape the heat. The post Fu Ding Wang Braised Pork Knuckle Rice 富鼎旺 @ Taichung appeared first on Malaysia Food & Travel Blog.